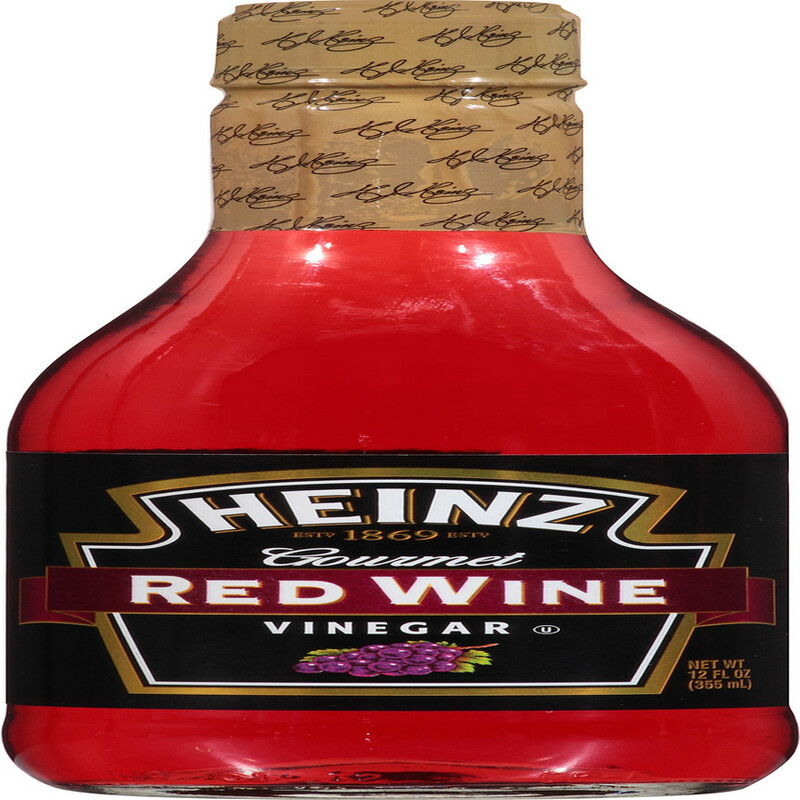 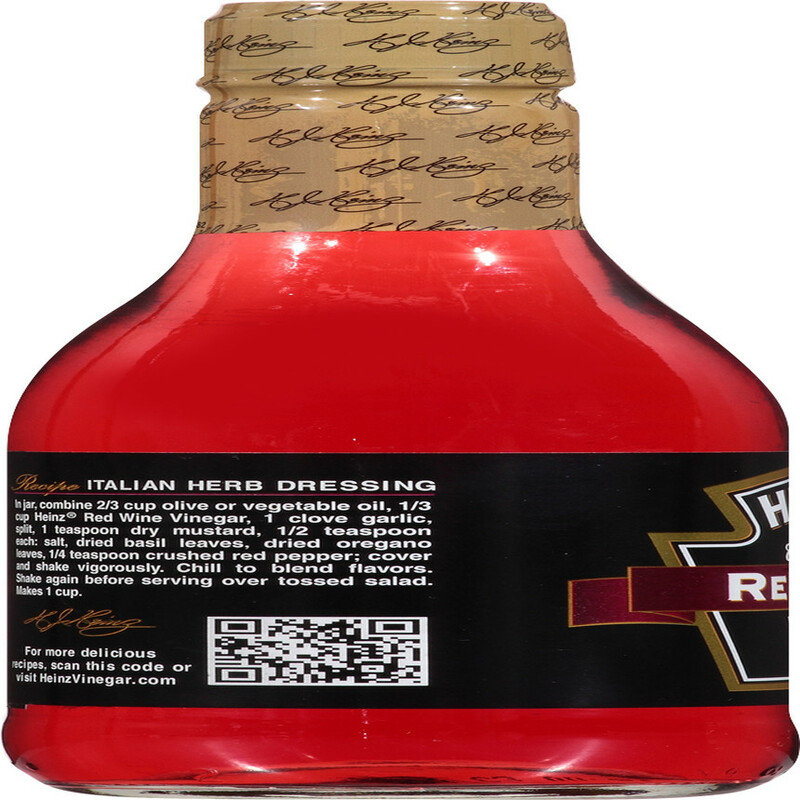 Heinz Red Wine Vinegar is crafted with a special Burgundy wine (a dry table wine), from grapes grown in New York and Georgia. 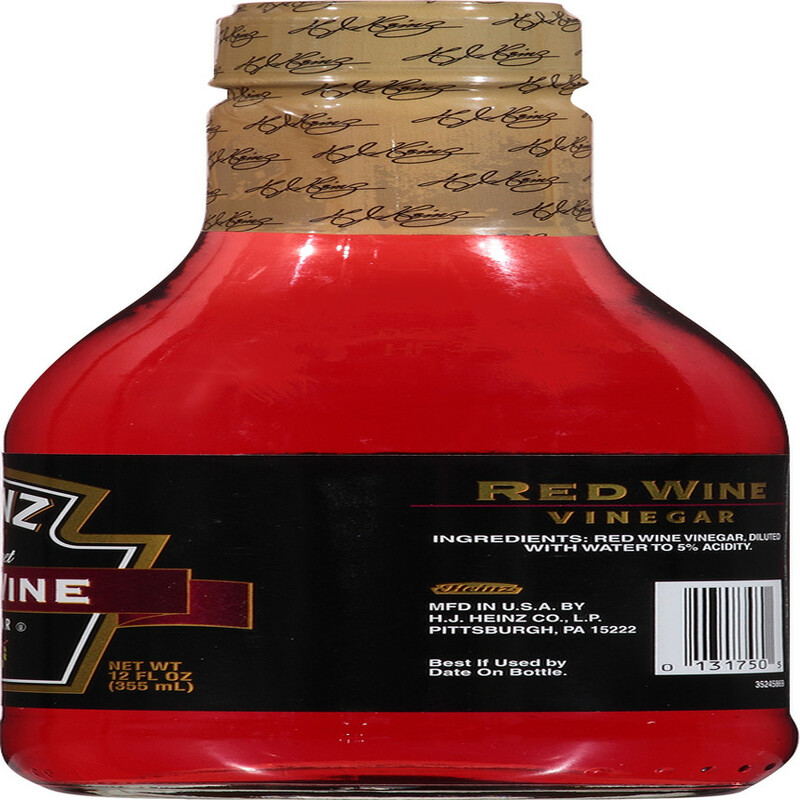 The Burgundy grapes give our Red Wine Vinegar a rich, vibrant color and flavor, adding a robust taste to your favorite salad dressing, glaze or marinade. 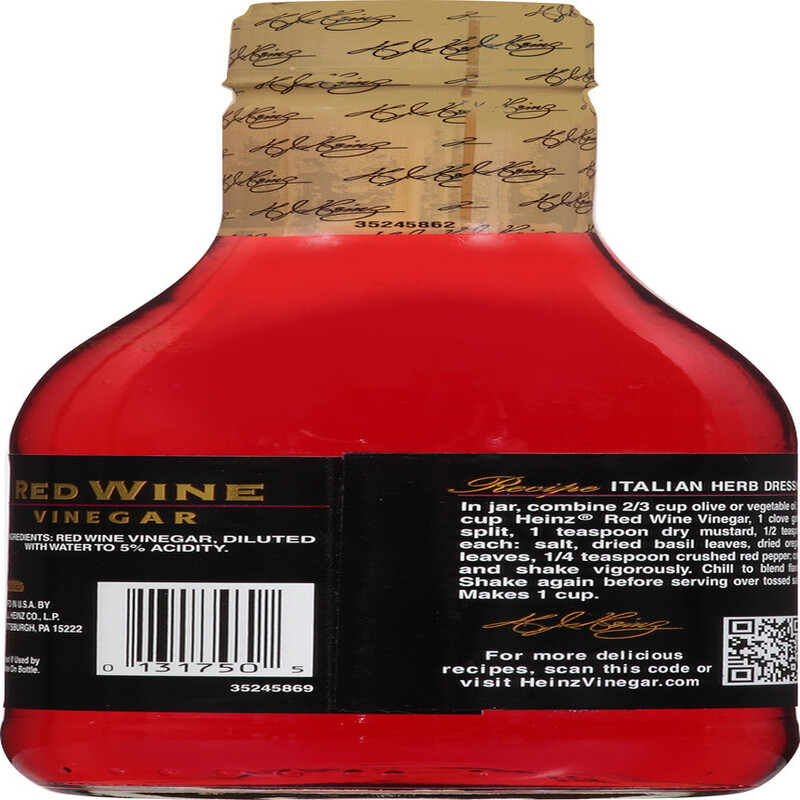 RED WINE VINEGAR, DILUTED WITH WATER TO 5% ACIDITY, SULPHUR DIOXIDE.